Download the Georgia Advance Directive, also referred to as the advance directive for healthcare, which is a form that allows you to choose someone you trust to make health care decisions for you if you become incapacitated. It also allows you to make medical treatment preferences in advance of your incapacity so your health care professionals will know how to treat you even if you are unable to tell them. 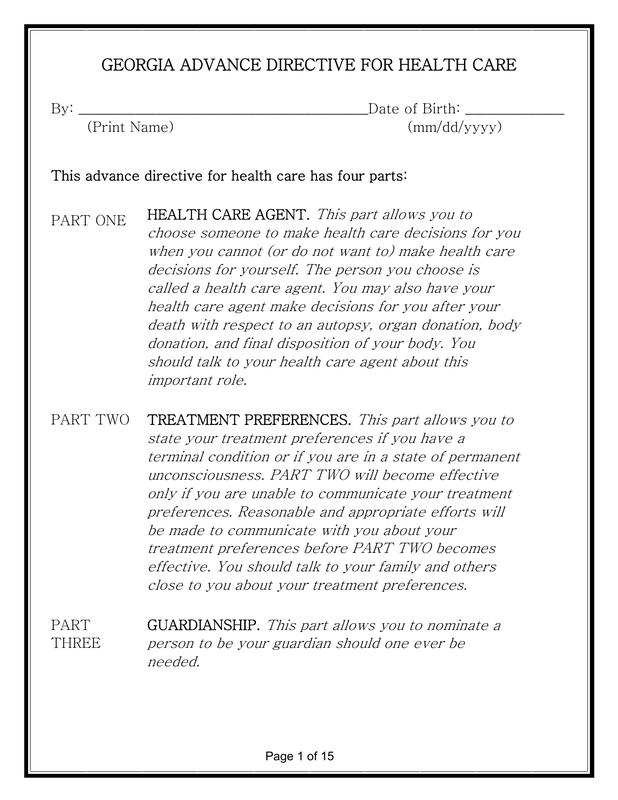 This form allows you to also make end of life decions and organ donation decisions as well.